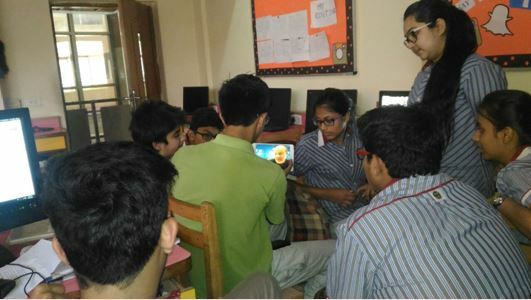 The first interaction between the students of our school and the students of Da Vinci Campus, Ronse, Belgium as an ice breaking session via Skype chat was conducted on May 18 2016. 10 students of classes IX-XII exchanged information about their respective country’s education system, culture, festivals ,dance forms , sports and the like. It was an enriching and fun experience for our students wherein they got exposure about other country’s facts. Students are looking forward for further exchanges of information and knowledge.